Facility Information Management at Your Fingertips. Underground or on the roof, use facility management software to access your critical information anywhere, anytime. Centralized facilities information management and intelligent sync ensures everyone has real-time access to the most current information. Build intelligence into your workflow with folders and permissions to ensure users see what they need, not what they don’t. SKYSITE’s facility maintenance software is ready to grow with you. Start with a building, grow to a campus, or several, SKYSITE makes it easy. iOS & Android; Phones and Tablets. Access, manage, markup and share your files online or offline. Make and share your notes on the go from your mobile. Communicate with your team using a photo, callout, lines, arrows, text, measurements and shapes with a synced facility management system. Quickly find what you need with enhanced search capabilities, custom index tagging and intelligent filtering. Jump right in with the most important information on top. Prioritize your roster in a breeze with our smart facility maintenance solution. SKYSITE’S facility management lets you view the files you use the most, like Microsoft Office® and image files. Sync all your facilities files between desktops and mobile, and among all your team members. Ensure everyone is always working from current information. Navigate across complex documents sets using hyperlinks to save time and make finding information simple. There are no limits holding you back with SKYSITE. From the smallest facility to the largest, we are built to grow with you. Protect your facility documentation and yourself from data breaches, phishing attacks and password leaks. Peace of mind in 2-steps. 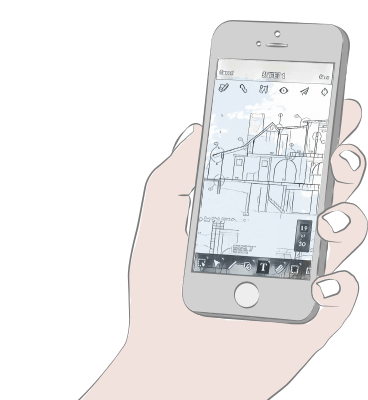 SKYSITE's accelerated and optimized upload is drag and drop simple, and even uploads massive BIM files quickly. Put your brand on top. See your look when you login and your logo throughout.